I’m interviewing J.L. Lawson on my blog today. J.L. 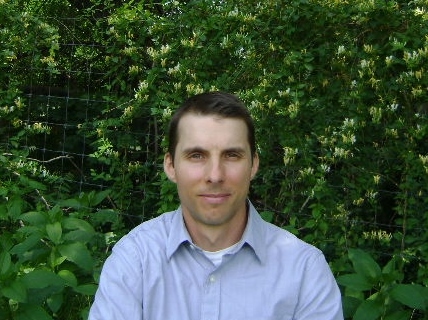 Lawson is the author behind several novels, in particular “Just a Curtain”, a coming of age / adventure story. The author has some very interesting things to say, and I enjoyed reading his interview answers. I have had a careers as a technical writer and as an educator in Literature and Composition. But, I began writing non-fiction on July 29th, 2010. Is Just a Curtain your first novel? If not, please tell us a little about your first book. 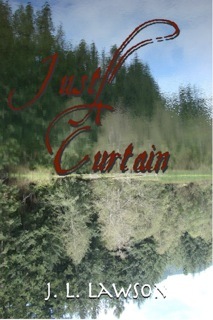 Just A Curtain is actually one the most recent novels. This is a topic near and dear to my heart. First a bit of background: Over the last couple decades I have been part of an on-going experiment: Can an Objective Path to awakening produce in an individual the properties and functions of higher centers (those which are responsible for Objective Self-Knowledge and Objective Reason)? The path I speak of involves the removing of all non-verifiable data and emotions cluttering one’s being. In other words, scrapping everything acquired through blind belief, old wives’ tales, the plethora of “they say”, snippets to volumes of information un-vetted and unsubstantiated which through laziness or convenience has populated one’s mind and heart. At the same time carefully building up a verifiable structure of mentation, an inner construction which allows for the assimilation of verified data and verifiable information about oneself and the real world in which one finds oneself. This two-fold endeavor has yielded, for me personally, a far more impartial perspective both of my far less cluttered inner world, as well as clearer perceptions of what is transpiring in our outer world—that place where we all must have our daily existence. That question, for me, would allow for a presentation both: of what would be the properties and functions of a person with higher consciousness, and also how a regular person could come to such a condition for themselves. It is the latter which, through my protagonists’ interactions with others, could become an accessible path for everyone wishing to gain what they may think they already possess, but clearly do not. Future History, then, according the sense in which I am compelled to use it, means the results of the aforementioned premise to have been realized in practice, extrapolated into real-time for a new view of man’s relationship to, and place within the greater world—even up to the Type III Civilization as envisioned by Kardashev. That lofty arena of such an accomplishment is one which we as residents of the present Earth are no where near even the farthest horizons. Understandably. While our societies, to some extent, and most definitely our technologies have evolved exponentially over the last few millennia, the individual, and resultant collective, evolution of our inner worlds haven’t moved forward even the barest distance by comparison. It is the individual who must perforce begin the personal change. Only then will our collective inner revolution gain the necessary traction to propel us in the directions of the ideals set forth in the allegorical Future Histories as presented in the Donkey and the Wall trilogy and The Curious Voyages of the Anna Virginia Saga. Tell us about Just a Curtain. Just A Curtain chronicles the life of a young man orphaned at sixteen to continue his family’s ranch in Wyoming. He inherits a small empire which through his own determination and vision, transforms into a multi-national corporation that spins off products for the benefit of all humanity. His endeavors coincide with a viable space colonization program already underway led by others. Through collaboration Mars becomes a viable new Earth for resettlement. 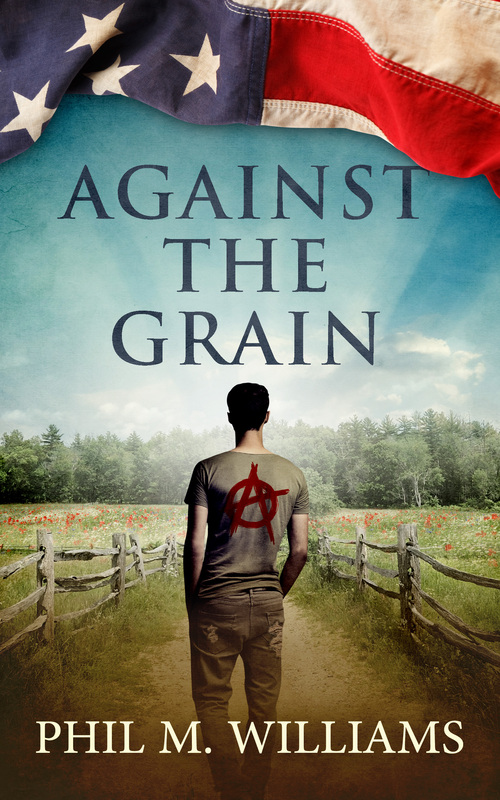 Along the way the reader is introduced to the mental disciplines and spiritual determinism that fuels the main characters’ drive toward social justice and a broader world view for humanity in general. It is the remarkable, fast-paced gateway to both The Elf series and the grander epic recorded in [my] other works: The Donkey and The Wall trilogy and The Curious Voyages of the Anna Virginia Saga.” That being said, if one wishes to read my titles in the order in which they were written: The Donkey and the Wall trilogy 1 – 3, Curious Voyages… Saga 1 – 7, Just A Curtain, The Elf series: Huntress, Elhehrim, Rehuin, Niederwald etc. However, as an inclusive chronology: Just A Curtain would rightly be inserted between books three and four of the Curious Voyages…Saga, with The Elf series following the last book of the Saga. Just A Curtain is the wildcard. I have placed it between Storms and Locks & Gates of the Saga because the events that finally play out in Storms offer solid background for the events that progress and arise in Curtain. In the same vein, The Elf series’ initial protagonist—Tera Elphinstone—is introduced in Just A Curtain. And her Elphinstone cousins figure prominently in the last two volumes of the Curious Voyages… Saga. Note: her own story doesn’t really begin until the events portrayed in the rest of the Curious Voyages saga have played out. That’s why The Elf series is left to last. Why did you choose literary fiction as a genre for your novel? Actually, this book was written inside out. That is to say I wrote six short stories—the final six chapters of the extant novel—and published them as “Six Leaks A’Leaking.” They highlight the dominant ways we as people are drained of the energies necessary to do anything more than barely get through our daily lives, let alone strive for anything higher. After a lengthy camping/road trip with my wife last year, I realized that those six stories begged a champion, a character amongst those included who could offer the antecedent direction for what were already herculean endeavors. Hence: literary fiction—the coming of age story of Dashiel Drummond as the first part of the book. When I was in my late twenties, in between contracts in California, and only had an old Remington typewriter, loads of copy paper—“borrowed” from a previous employer—and my local Boulder Creek Library as my tools for writing—there wasn’t a world-wide web or extensive internet yet—my first forays into putting together entertaining, evocative narratives based more on fact than fictions was tedious to say the least. There followed a lot of just plain life for many years before I finally, actually, started writing as a vocation. That was by then rather late in life, relatively speaking. By that time, well after the advent of the internet, POD, social media and other such marvels of industry, getting published had become a relatively simple matter of formatting one’s materials properly, choosing a reliable and efficient printer and bam, you’ve got a book published. But that’s not the end of it by any stretch—unless one is content to merely have one’s own shelves populated with one’s own books and have no exposure or audience beyond that. TEN: Do your research. No matter if you’re writing about totally imaginary worlds devoid of seemingly any touch with reality, in order to connect with an audience you’re going to have to get your facts straight. Even if you are making them up as you go along, everything needs to be at least internally consistent. Most fiction and all non-fiction, however, requires a more constant reality check. In my youth it was the library that stood as the bastion of facts and data, history and general information. With a laptop and the web, constant trips to the local branch aren’t the impediment to sound research any longer. But you must still check and cross-check your data. Just because there’s a lot available out there doesn’t mean it’s all valid, even correct. NINE: Make sure you say what you really want to say. That may sound obvious, but unless your thoughts are clear in your own mind, what comes across to the reader will be a fog of notions. Take the time to hash out your ideas, opinions and most importantly: storyline, so that there are no loose ends, no internal inconsistencies, no circular logic sabotaging your best efforts to bring your story to an expectant audience. EIGHT: You gotta have style. You can put one word after another in a convincing manner, but would the average reader recognize your writing from, say, their own or some other writer’s hand? I will not encourage anyone to adopt the bon ton paradigm of the day: the overpopulation of crude language, steamy and out-right explicit sexuality or the omni-present tone of disdainful cynicism that appears to pervade the marginalia-made-book-form of some contemporary ‘literature’—Unless that’s actually your chosen genre! What you must attempt to cultivate in any event is your own voice. Your writing style will follow as surely as night follows the day. SEVEN: Nothing new under the sun. I’m sorry to be the one to tell you this, but whatever astonishing “new” idea you have for your “best-seller” has very probably, most very likely been written… many times before… to death. Cold facts. But here’s the kicker: Shakespeare didn’t come up with anything new either! His plots were already old and moldy before he picked them up. What breathed new life into that staleness was: HOW he filled them out; WHO his characters really were; with WHAT cleverness, depth and flow he imbued their dialogues and soliloquies. So take heart. Even “Boy-Meets-Girl” can come to new life in your hands—just make it your own. SIX: So you have your narrative. Your friends and family grudgingly read through it and are pleasantly surprised that it doesn’t stink. Then the other foot falls: you need some editing—not just proofreading for typos and the odd transposed word or out of place homonym—seriously cut, move stuff around Editing. If you’re brave (or masochistic), you can post it on your blog and open it up to readers’ comments. Probably better however, and less demeaning, is to have a professional dispassionately make your work shine as it was intended. It may cost a bit, but what’s the price of avoiding Professional Embarrassment? FIVE: Judging a book by its cover. That little phrase is still with us because it’s more than a splinter of truth in this business—it’s axiomatic. I assure you that I have built my own covers, was pleased at how they appealed to my eye, but set them up next to others in their genre and they were the red-headed step-children. Sad, disheartening, but true. Look at what’s catching the eyes of Bookstore customers—brick-and-mortar stores or the on-line variety—there’s always a “Here’s what others are looking at…” section to be inspected. What catches your eye as you look at those shelves? That should be a clue. FOUR: Knock on the biggest door. Unfortunately, major publishing houses, almost without exception, do not accept unsolicited manuscripts. You’ll need an agent to go there in your stead. What? Not enough budget for hiring and retaining an agent? How about a publicist, a marketing analyst, a distribution agency? No? Don’t give up just yet. How about utilizing an indie press and taking on the marketing, sales and distribution with your own sweat and tears? It has been done successfully. In fact, that’s likely why you’re reading this right now—you ARE using the available means at your disposal and spending as little as possible to make your title a household word. THREE: Location, location, location. It’s the marketing of published work that creates the greatest challenges and forces the most attention and creativity an author can muster. There are now an over-abundance of resources and advice out there. 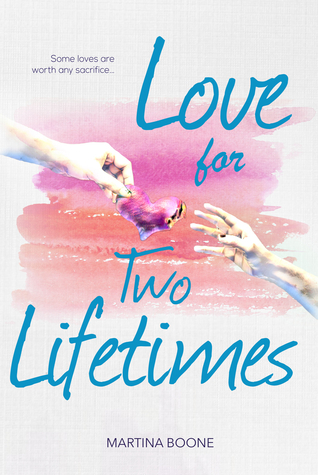 Let me offer a shamelessly promotional example: I am writing this now, because I am part of Virtual Book Tours because the talented people who run them have connections and know-how I don’t. I have contracted with Substance Books for other branding and marketing efforts for the long haul because Hajni Blasko has the experience and expertise I don’t have. I work at Voyager Press who utilizes: KDP, iBooks, Bowker, CreateSpace, for print and eBook production, Amazon, Barnes and Noble, GreatReads and many other outlets for distribution—including their own online VPDirect Store. For Industry exposure they contract with the Jenkins Group and Combined Book Exhibit, as well as those firms affiliates. The gist of this note is that networking with those who have the know-how, the connections and talent is how to put together a winning team. TWO: Which brings us to the penultimate Need-To-Know item in Publishing: It takes a Village! I am in the midst of The Elf series at present,–the fifth installment actually: The Elf & Erin’Los is its working title. There maybe perhaps a dozen, or not, of those before I’m done with them—-each is only a couple hundred pages; the first three I wrote in nearly as many weeks earlier this year. I would like to think that once my readership gets beyond the few hundred it is at these early stages of release, I’d be amenable to responding to specific suggestions or requests for expanding certain characters’ lives adventures, etc. Or even continuing the Saga beyond the seventh generation of Livingsons—that actually does appeal to me to great degree. 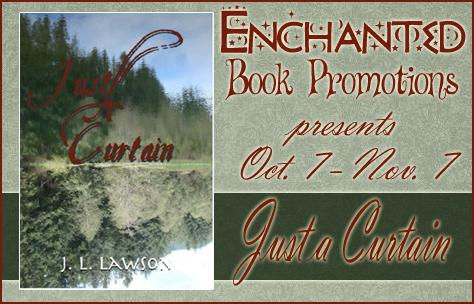 Just A Curtain is the remarkable, fast-paced gateway to both The Elf series and the grander epic recorded in J. L. Lawson’s other works: The Donkey and The Wall trilogy and The Curious Voyages of the Anna Virginia Saga. Just A Curtain chronicles the remarkable life and achievements of Dashiel Drummond and the capable group of people he gathers around him to make a change for the better in the world in which he finds himself. 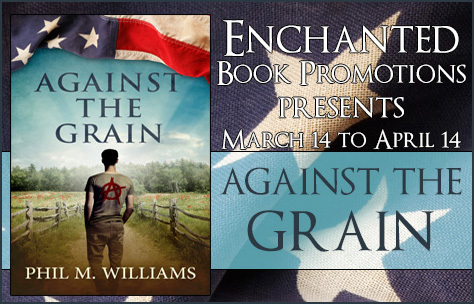 A coming of age story, orphaned at sixteen, he rises through the angst of adolescence to the challenge of fulfilling the promise of his potential—from ranch hand and welder to the pre-eminent global entrepreneur and builder of starships.